I've been using white glue (Bondfast) to glue various clear parts in place as it does not discolour the material. The problem I've found is that it is not terribly strong. With my last build (Porsche 909) I had to fix a rather large circular windscreen to the outside of the body which was not perfectly flat. Needless to say the slightest bump and the windscreen would pop off. 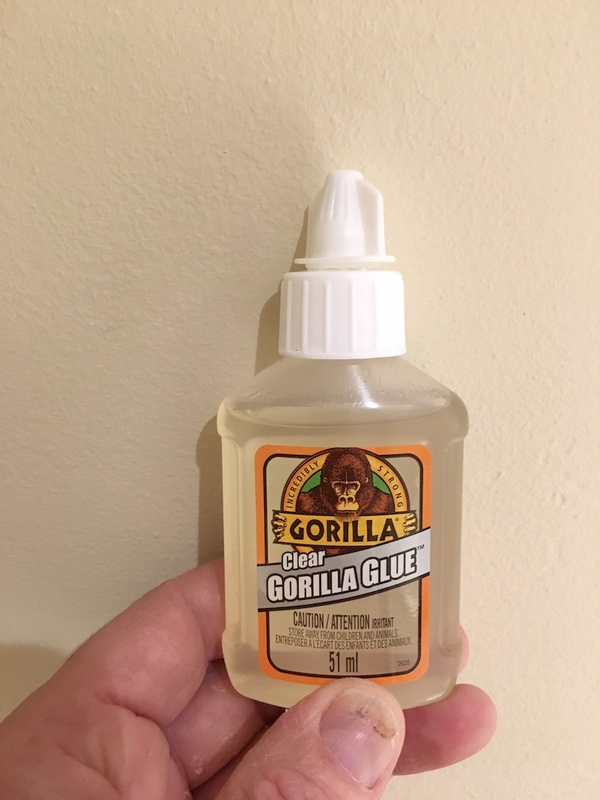 I tried a variety of glues on scrap plastic pieces and found that Gorilla glue has an incredible bond, did not discolour and had the same sheen as the plastic. Hope this helps. Good tip, I'll have to give that a try. Thanks! Another popular product is the white glue, commonly called "canopy glue", that is used by model aviators. It holds windscreens and canopies in place during flight, and also on slot cars during races. It's water based so clean up is quick and simple, with no fear of hazing or melting clear plastics. I've used it for all different scale slot cars and have had very good results. A tip - let it cure for the proper amount of time for the bond to reach full strength. to be the best with the rough and tumble of our weekly racing. The stuff goes on looking milky but in short order it dries clear. I use Testors Clear Parts Cement, it is water based like the Formula 560 product. I have a resin body that did not come with windows, so I had to make my own from clear bottle material. The windows are only glued at the edges, but they have survived numerous crashes without coming loose. I also use the Testors Clear Parts Cement. It dries crystal clear, will not haze plastic parts, and holds up well to some significant crashes. Yep, I tried the Gorilla glue on my 1/64 Indy windscreen and it holds pretty good. Only one came loose. I may try the other types just to compare. Thanks for the tips!! !